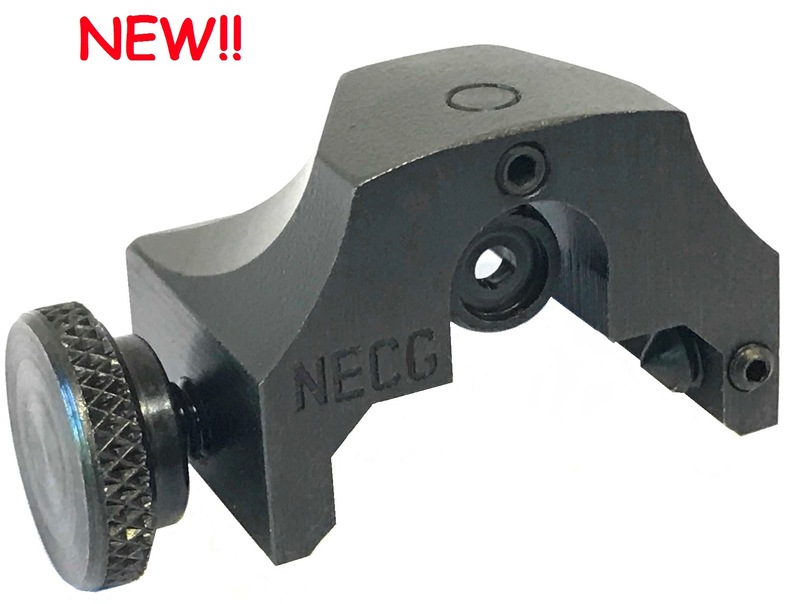 NECG Weaver Ghost Ring, Peep Sights | New England Custom Gun Service, Ltd. The N-106G NECG Weaver Ghost Ring Sight is designed to work on virtually every Weaver style scope base made. It can also mounted to a picatinny rail. Adjustable for windage and elevation and it is supplied with a .093" aperture, Due to the variations in Weaver style scope base heights, we will be unable to tell you whether this peep sight will work with your existing front sight height. All blued steel construction. Elevation adjustment: .090" total with .008" movement per 1/2 turn. Windage adjustment: +/- .050" Left or Right. Overall sight height is .155" in the lowest setting up to .245" in its highest elevated position.